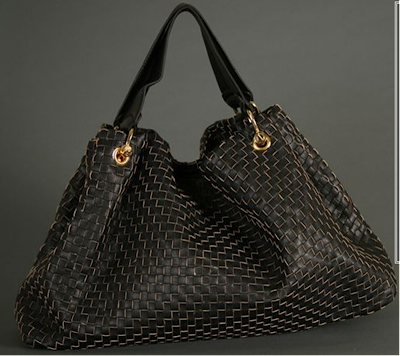 The trademark basket weave construction of Bottega Veneta has long been a fiendish handbag favorite of mine. And while the supple leather and high-end hardware is alluring, the price tag is cost-prohibitive. In addition to being made from vegan leather, the second option, from Luna Boston is $1400 less. I do not condone designer knock-offs; however, I enjoy the option of getting a similar look, from and eco-friendly designer for less. I'm a novice when it comes to leather alternatives, but the the item description given denotes that this handbag has a buttery texture and convincing leather-like quality which makes me inclined to give it a try. I actually think the second one is far more beautiful, even if I didn't know any better, I would have picked the second...have a great day! love both of them..great find! I like the second one a tad better I think, and the fact that it is eco friendly is the kicker- its a winner. I might need one for myself. We're with you on not liking designer knockoffs, but this one somehow falls in a different category, and looks like a great discovery! Love it! I fell in love with BV when I was abroad in Italy in college. What a great alternative. such a great eco-friendly alternative! your blog is so amazing... love everything you are doing! 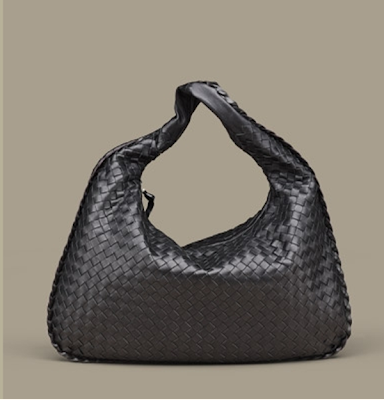 we have that bag at the store I work at in New orleans...(the Deux Lux one, not the Bottega Veneta one). Love the look of these bags! oh, such a great find!! !